An unequal duel for victory: Ingo Gerstl in a Formula 1 and Johann Ledermair in a GP2 competed at the same level with unequal weapons. The second race of the weekend started behind the Pirelli Safety Car. BOSS GP race director Rainer Werner had already announced before the race that he would drive three condition-check-laps before green. When the track was clear, Johann Ledermair (Ledermair Motorsport) took full risk to keep up with Ingo Gerstl (Top Speed). Gerstl, who was rather cautious on the wet road, could hardly keep Ledermair behind him. Only after a few laps did the lead increase to a relaxed gap of 2.5 to 3 seconds in advantage for Gerstl. At the finish, OPEN winner Ingo Gerstl and FORMULA winner Johann Ledermair separated by 2.8 seconds. Ledermair on the FORMULA podium was followed by another Austrian: Reinhard Kofler (Top Speed) took home a top position in his very first BOSS GP race. Yesterday he had to give Schnitzenbaumer, the regular driver, his control unit, and renounce his own start. The start of KTM works driver Reinhard Kofler was only made possible by Gerstl and his team Top Speed, who provided Kofler a race car – a service to Austrian motorsport. Armando Mangini (MM International) made the overtaking manoeuvre of the race day: The Italian overtook Florian Schnitzenbaumer (Top Speed) shortly before the end on the start-finish straight. Schnitzenbaumer tried to block, but was unable to resist Mangini’s late braking point. Schnitzenbaumer continues to lead the BOSS GP standings with fourth place. Bianca Steiner (Top Speed) came through the rain without any mistakes. The Austrian made her first podium appearance yesterday. Today she finished fifth in the FORMULA ranking. She almost caught up with the slowing down Schnitzenbaumer. Andreas Fiedler finished seventh. Karl-Heinz Becker (Becker Motorsport), who left the technical problems of the previous days behind him and performed strongly in the rain today, finished eighth. Some pilots, among others the Austrian Thomas Jakoubek (Top Speed) and the two Speed Center pilots Christian Eicke and Peter Göllner didn’t start under the difficult conditions. The second Formula 1, Phil Stratford‘s Benetton, was loaded into the van yesterday night after a transmission failure. The BOSS GP moves on to Italy. The next race weekend is from 29 June to 1 July at the Autodromo Nazionale Monza. Ingo Gerstl (OPEN) and Johann Ledermair (FORMULA) win a difficult race with many failures. First podium for Bianca Steiner. Ingo Gerstl (Top Speed) slowed down the first laps like at Hockenheim, followed the Austrian Phil Stratford (Penn Elcom Racing) in the Benetton B197 until lap 10, then Gerstl geared up and showed with 1:13.4 min what is possible with used tyres and not completely empty tank. Gerstl, the only opponent in the OPEN, Stratford, rolled out with a gearbox failure three laps before the end. The FORMULA winner, Johann Ledermair (Ledermair Motorsport), was in 2nd place overall. The Tyrolean drove safely to victory in his comeback drive. 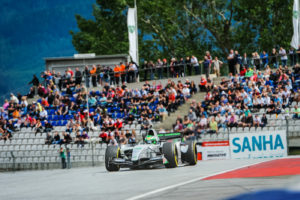 Florian Schnitzenbaumer (Top Speed), who had electronic problems with his crew before the race, finished second and extended his overall lead in the FORMULA class. 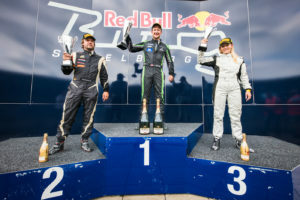 Bianca Steiner (Top Speed) clinched her first podium, following on from her good results at Hockenheim. For laps she duelled with Peter Göllner, who had a good race speed. The Speed Center driver ran off the track to the middle of the race shortly after Steiner passed him. 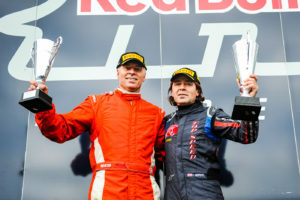 Best driver of the Swiss team was Christian Eicke in 6th place, seventh was Thomas Jakoubek (Top Speed). Andreas Fiedler finished fifth, although the race did not start to his liking. After a spin in the second lap he had to follow the field. Among other things, he benefited from the technically-related defaults of Walter Steding, Hans Laub and Karl-Heinz Becker. Already in the second lap the race for Armando Mangini was over, his Dallara GP2 rolled out. Race 2 will take place tomorrow Sunday at 10:40 a.m., then 25 minutes of racing action are on the schedule. 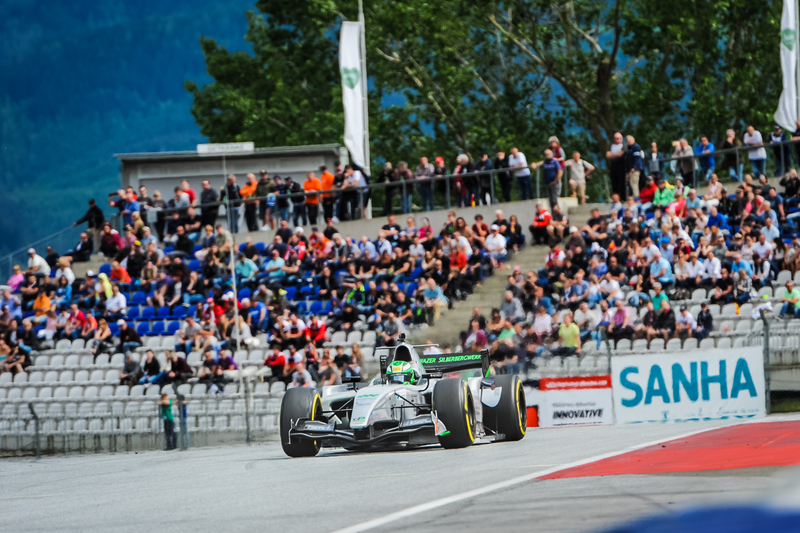 Not surprisingly Ingo Gerstl (Top Speed) set the fastest time in the second qualifying of this year. 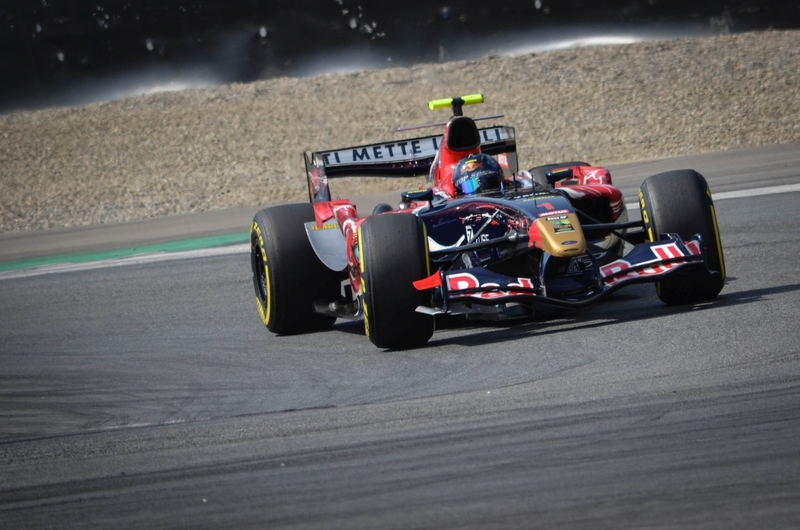 With 1:10,665 min the Toro Rosso pilot set a new BOSS GP lap record. The only downer for Gerstl: The declared goal of beating the sound barrier of 1:10 min was not achieved. Second place went to Phil Stratford (Penn Elcom Racing), who kept the GP2 armada behind him in his 1997-Benetton. 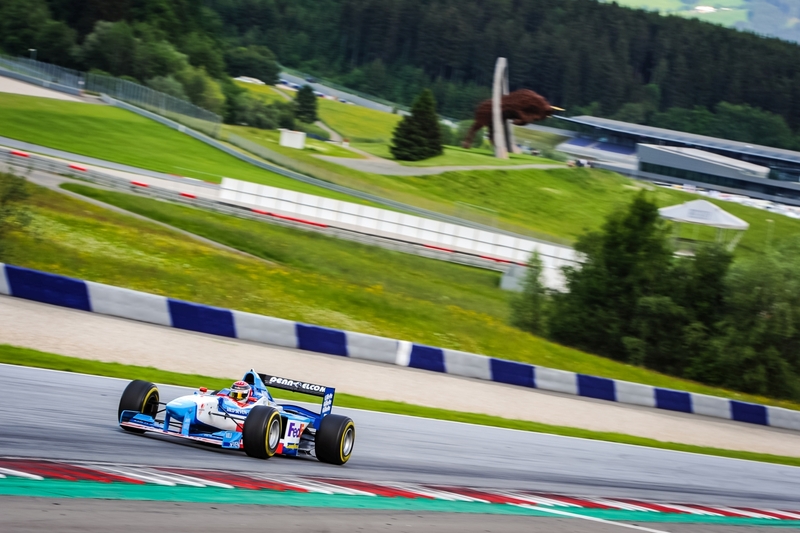 An Austrian was also the fastest pilot in the second class: Johann Ledermair (Ledermair Motorsport) picked up where he left off last year: At his comeback this afternoon (start: 3:05 p.m.) he starts from position 3 and thus has the best starting position with the FORMULA racing cars. With Ledermair in the second row, Reinhard Kofler (Top Speed) surpassed his expectations at his first appearance in the GP2 car. 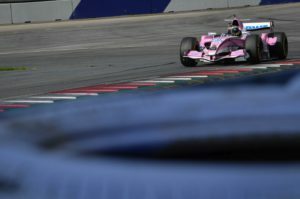 Eight cars entered Qualifying 2, a seperated session for yesterday’s slower drivers. Fastest was Florian Schnitzenbaumer (Top Speed). The FORMULA leader placed 5th overall, knocking out Armando Mangini (MM International), who was in the first qualifying group. Bianca Steiner and Andreas Fiedler fought for 7th place overall for the whole 20 minutes. Only six thousandths of a second (!) separate Fiedler (7.) and Steiner (8.). The situation between Peter Göllner and Christian Eicke was similarly close. Walter Steding (Inter Europol Competition) starts in the first race from 11, Thomas Jakoubek from 12, Karl-Heinz Becker (Becker Motorsport) had technical problems again, the German only completed three laps, he starts from 14th place. 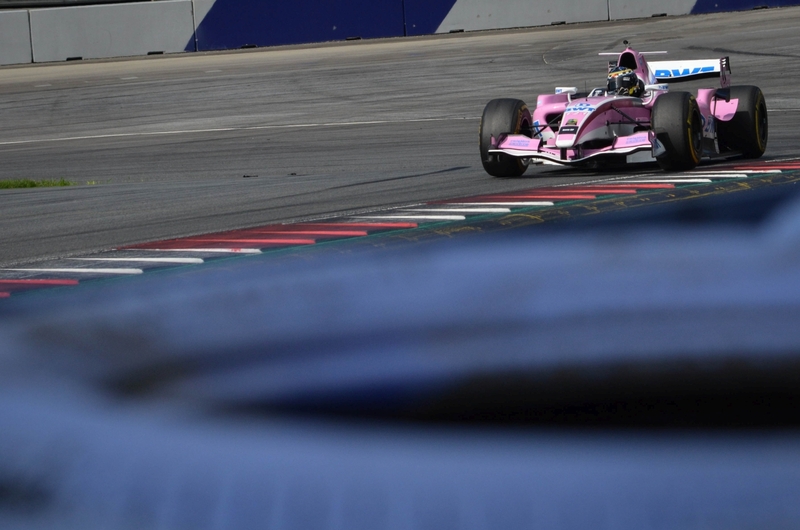 11 drivers took part in the second and last free practice session before qualifying (Saturday, 9:40 am). Among others Ingo Gerstl, the fastest of the morning, stayed in the pit. In dry conditions Johann Ledermair (Ledermair Motorsport) set the best time in the Dallara GP2. Only shortly before the end the US-American Phil Stratford (Penn Elcom Racing) could readjust the order again in his Benetton Formula 1. Stratford had already announced, that he would take it slower today, collecting kilometres was the motto for the runner-up in the championship – he completed 14 laps within the 25 minutes. Fast again (3rd place, 1:19.8 min), but with difficulties: The Austrian Reinhard Kofler ran only three laps in the second practice session. The Austrian rolled out in the second corner. When rolling out, he crossed the circuit, which can be described as quite precarious. Fortunately, cars and drivers remained safe. 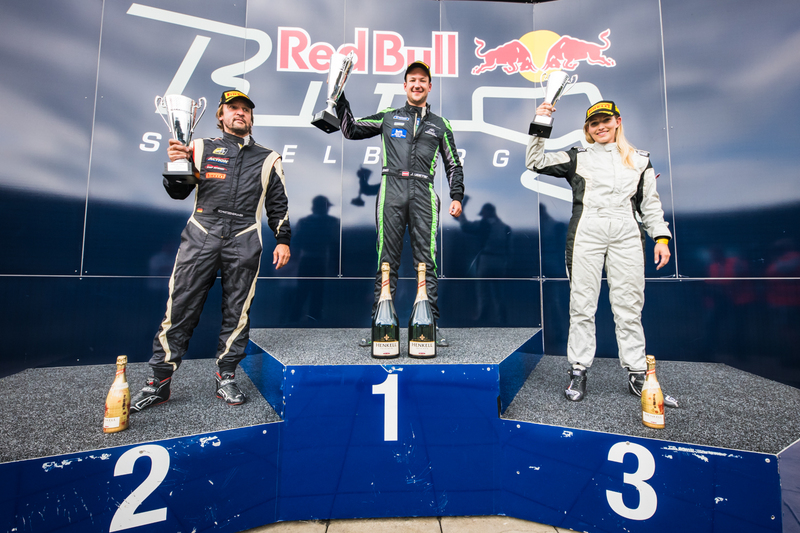 Florian Schnitzenbaumer and Bianca Steiner (both Top Speed) were on tandem flight again around the Red Bull Ring. The two placed 5th and 6th, behind Armando Mangini (1:19.997 min; MM International), who lost one second to Johann Ledermair’s FORMULA best time. Like in the first training Peter Göllner had technical difficulties, a long evening awaits the mechanics of Speed Center. Karl-Heinz Becker in the only World Series car was certainly not yet on the limit of vehicle and driver with 1:33.8 min. The two races will start on Saturday at 3:05 pm and on Sunday at 10:40 am. 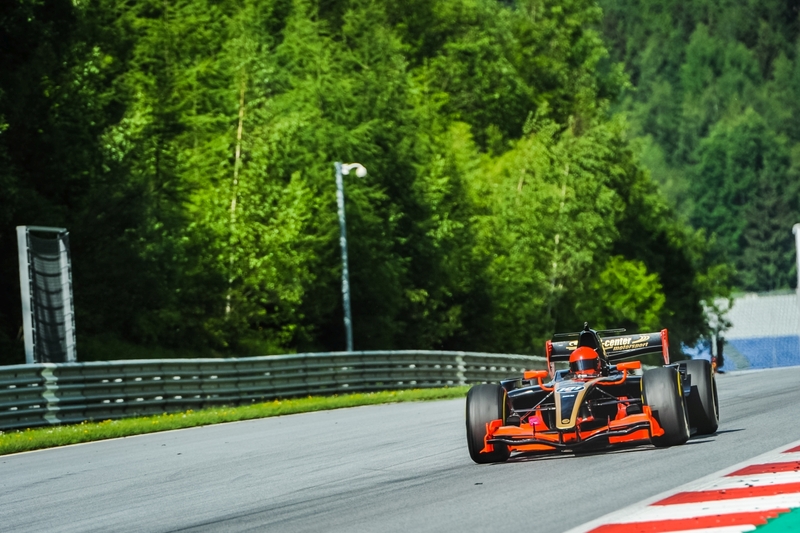 Admission to the Rundstreckentrophy in Spielberg, Austria is free. 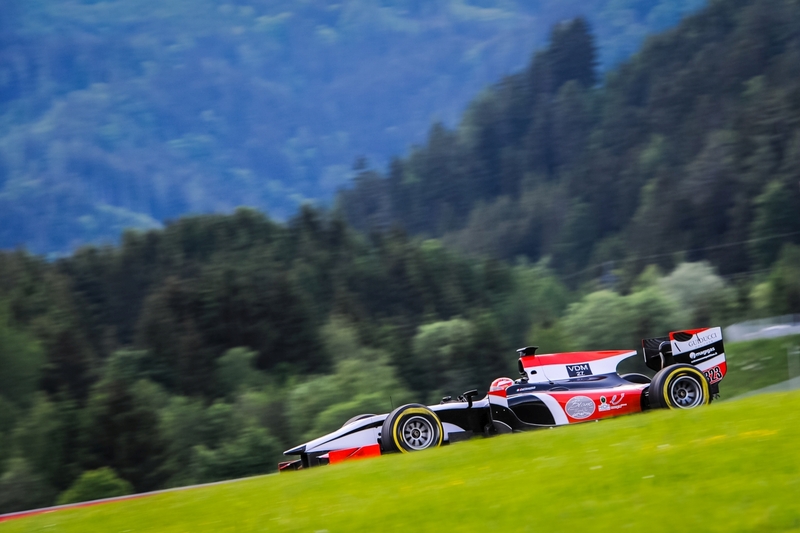 Ingo Gerstl set a new BOSS GP lap record in the first free practice session at the Red Bull Ring: In 1:11,292 min the man from Salzburg completed the 4.2-kilometer long mountain and valley track. Fastest FORMULA pilot was Johann Ledermair. 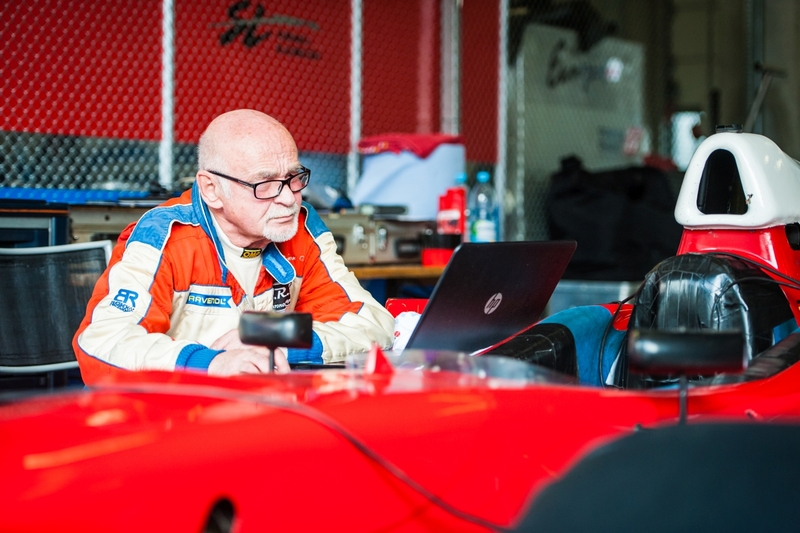 Sports car specialist Reinhard Kofler (Top Speed) was runner-up in his first outing in a GP2. With an outside temperature of 18 degrees and sunshine the first official session started at 9:30 am. Already after two minutes the first car was out: Armando Mangini (MM International) spun at the exit from the pit lane. The Italian lost control on cold tyres, but he didn’t hit anything. The safety team brought the car back into the pits and Mangini was able to continue the training session. After the session restarts, all 12 drivers made their way onto the track. 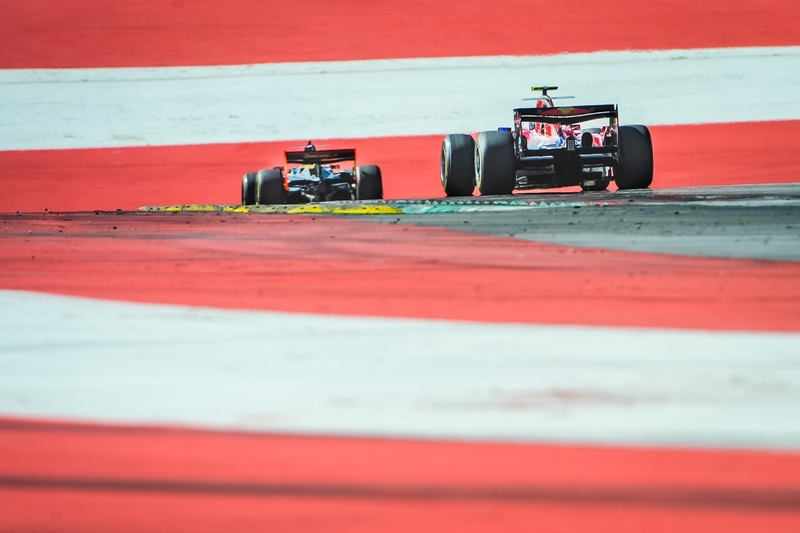 This did not stop Ingo Gerstl in his Toro Rosso from improving from 1:15 min in his first fast lap to 1:11.2 min in his fastest lap – this is a new BOSS GP lap record. Top Speed team-mates Florian Schnitzenbaumer and Bianca Steiner tried to do some laps together. Ten minutes before the end of the session, Schnitzenbaumer blocked the rear wheels when braking to the second corner. His vehicle was pushed behind the barriers after the spin. 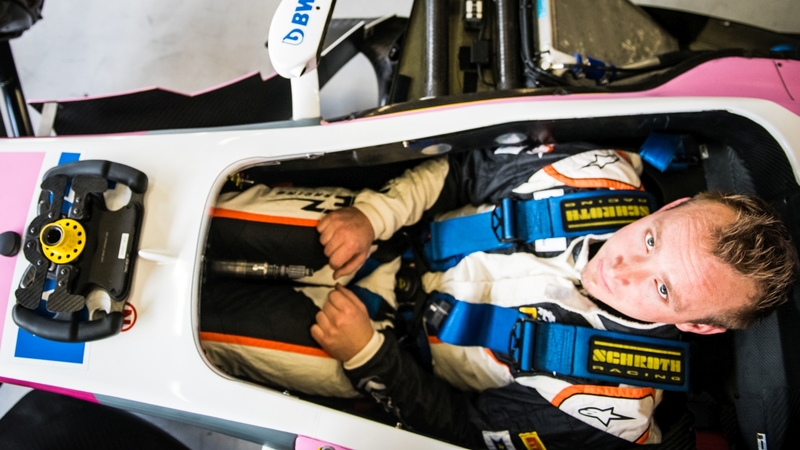 Reinhard Kofler, former European kart champion and Formula Renault racer, made his debut in Top Speed’s BWT car. 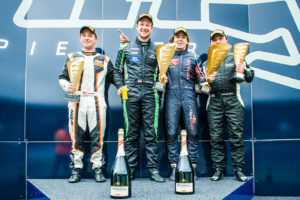 The current KTM works driver in the GT4 European Series already gave a test of talent in his very first laps in a 600-hp GP2 car: With a 1:19.8 he was only 1.3 seconds behind Johann Ledermair (Ledermair Motorsport) in second place in the FORMULA classification. For the races we can expect a five-match between Ledermair, Schnitzenbaumer, Fiedler, Kofler and Mangini. Another Top Speed driver, Thomas Jakoubek, was missing in the 1st free practice, he will only get into the car later. In the lap back to the pits Peter Göllner (Speed Center) stopped his Dallara GP2, his car is back in the pits for repairing. After a one-year break, the traditional event Leeb Rundstreckentrophy is back in the racing calendar of the Big Open Single Seater. Last year, the BOSS GP had to suspend the popular race in Spielberg. Due to the unique appearance at the Jumbo Race Festival in Zandvoort, the BOSS GP did not compete on the Grand Prix circuit at the Red Bull Ring. 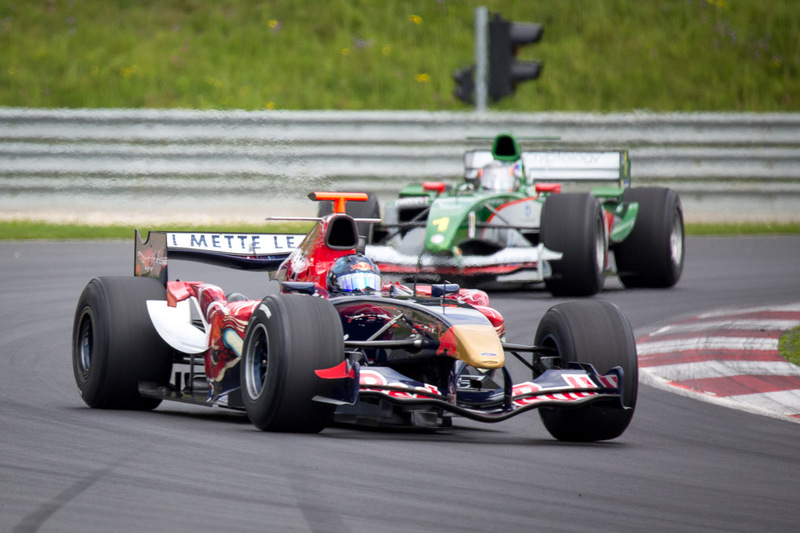 The race in the Netherlands was scheduled exactly on the same date as the regular race of the series in Austria. 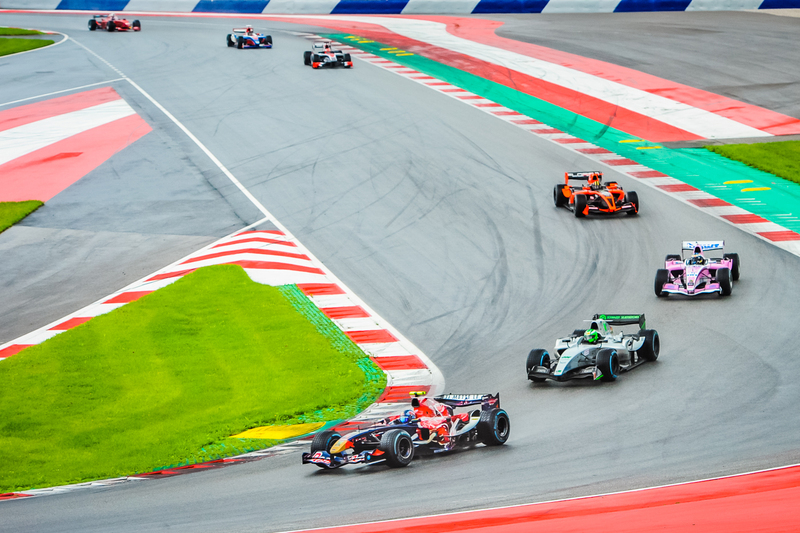 This year only one race will be held in the Netherlands, from 17th to 19th August in Assen, so nothing stands in the way of a home race for the Austrian race series. The BOSS GP is the main event of the Rundstreckentrophy organized by Gerhard Leeb. 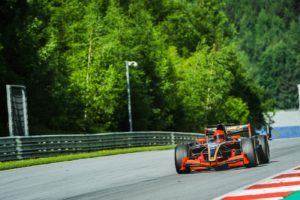 Austrian racing fans have the only opportunity to see Formula 1 cars from the ten-cylinder era in racing action this weekend. 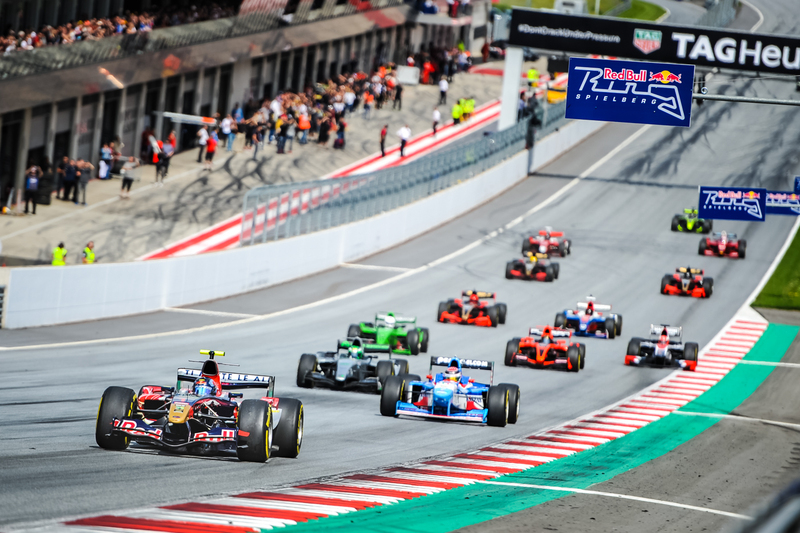 Due to the discontinuation of the Truck Grand Prix, the Rundstreckentrophy is also this year’s first major event on the Red Bull Ring. 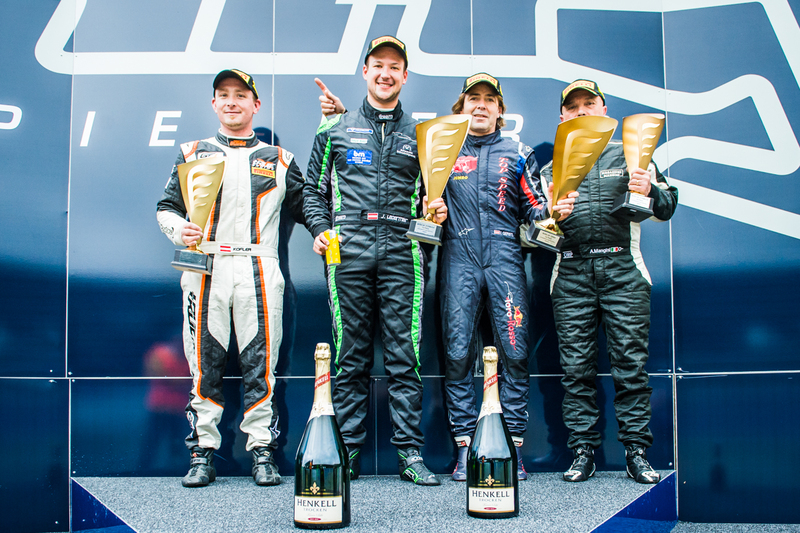 In addition to Europe’s fastest racing series, the GT4 Central European Cup, the GT, touring car and formula races of the FIA Central European Zone, the Škoda Octavia Cup, the Kia Platinum Cup and the DMV sports car series will start. 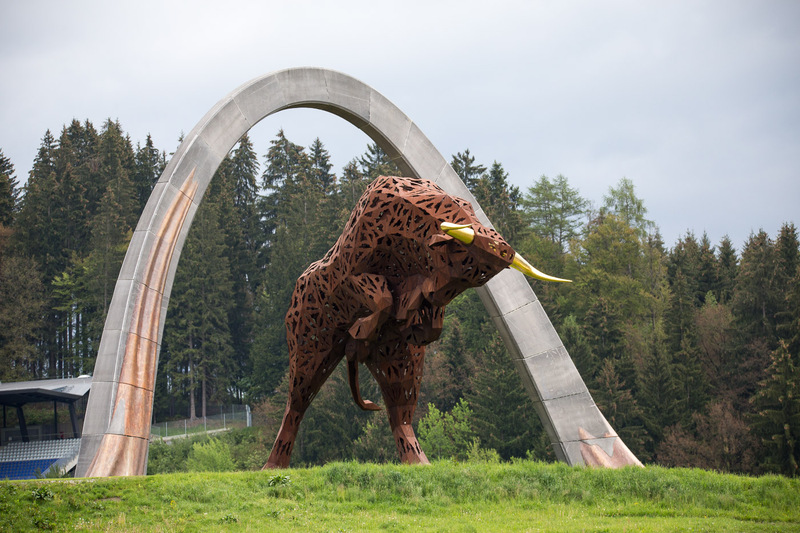 Hermann Tilke, the world’s most renowned track architect, has taken on the design of the new Red Bull Ring. The result is a racetrack like an adventure park, homologated by the FIA with the highest standard, as “Grade A”. 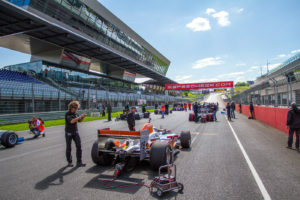 The track, about 75 kilometres north-west of Graz, has been reopened in 2011, the Formula 1 World Championship has been back in Spielberg since 2014 and the Motorcycle Grand Prix since 2016. A special feature of this racetrack is the difference in altitude (maximum uphill slope of 12 %, maximum downhill slope of 9.3 %) and the magnificent embedding in the Alpine landscape. There is no engine capacity limit in the OPEN class – “anything goes” is the slogan here. Four Formula 1 drivers had announced their start, two are on their way to Spielberg: Ingo Gerstl, BOSS GP Champion and winner of the last two races at Spielberg 2016, and the American Phil Stratford in the 1997 Berger-Benetton. 13 starters are registered in the smaller FORMULA class, including the winner of the first two races at Hockenheim: Florian Schnitzenbaumer. Bernd Herndlhofer changed for his home race from his temperamental Arrows Formula 1 car to a GP2 Dallara. He stands in for the Czech Veronika Cicha, who will be back in the series together with her partner Wolfgang Jaksch from the next race on. After his accident in the first race at Hockenheim, Salvatore de Plano is on the road to recovery, but the Italian misses the two races at Spielberg. 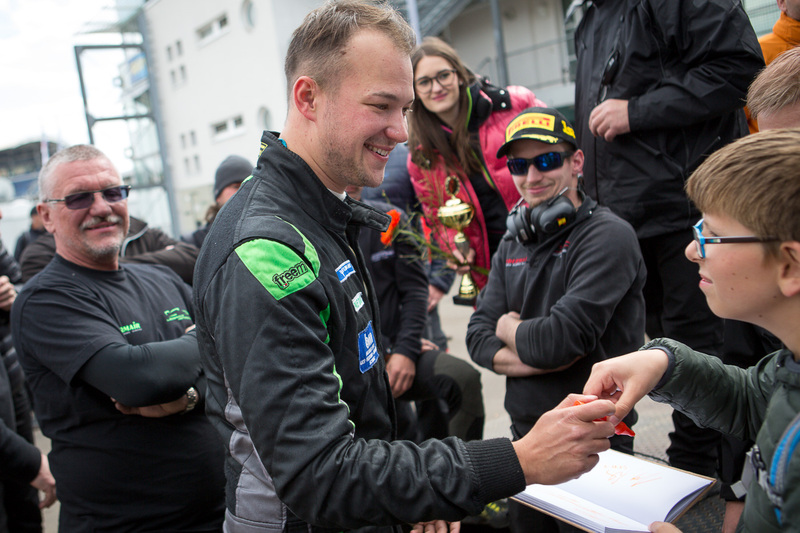 His comeback will give Johann Ledermair from Tyrol, who won the title in the second class in 2012 and 2015. 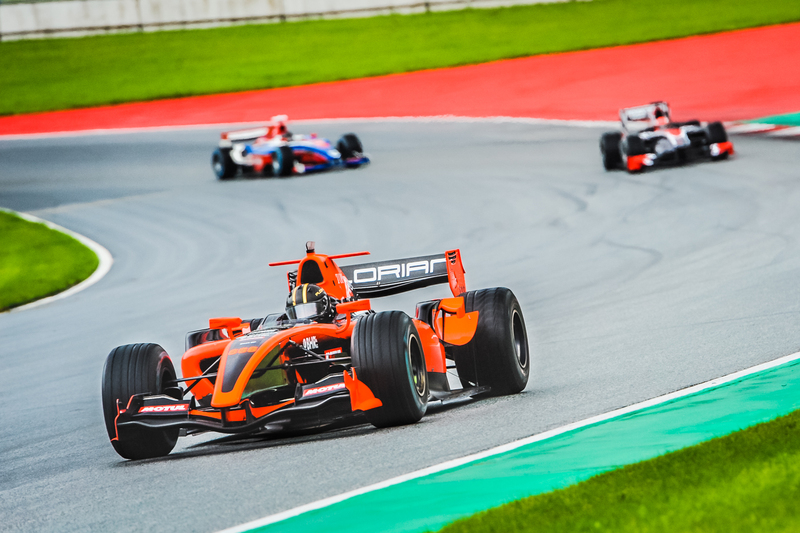 Friends of formula and touring car racing will certainly get their money’s worth at the Leeb Circuit Trophy: free entry on all three days, including a visit to the paddock. The vehicles of the BOSS GP are located in the garages with numbers 12 to 20, Andreas Fiedler (Dallara-GP2) pitched his tents in the paddock – at box number 18.